Haydock takes centre stage for me and I've done the whole card for the Life today. My main bets are on the video preview, along with my reasonings. Hope you find them of some use! Enjoy your Easter weekends and I'll be back next week. No good yesterday although I was pleased with River Arrow's run at Cheltenham and she'll be staying on trackers for next winter. The engine is clearly still there and once she gets her ground, there's a good handicap to be won with her. Lingfield hosts the A/W Finals today and it's a competitive card, in the main. With one or two firms going four places some of the main races, I'm having a little e/w patent on three that are detailed on the main piece. The main selections are running well this week so I'm hoping to keep that going with another look at the two main meetings today. Neither is on terrestrial TV but they're still good meetings all the same. 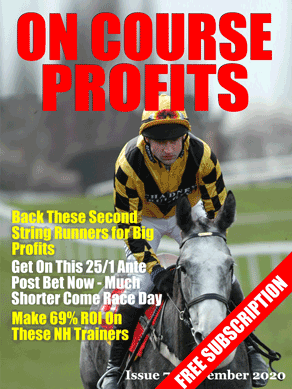 Back tomorrow with a Good Friday e/w trixie at Lingfield for the Easter egg money…. Great racing at both Newmarket and Cheltenham today, hard races to solve wherever you look! I'll be working in the ring at Cheltenham for the next couple of days but again, I've taken a look at three of the key races on ITV today and hopefully there's a winner in there.